At Concept, we ensure that we are working with the most up to date bathroom designers, manufacturers and latest styles for all luxury developments and private client renovation projects. Villeroy & Boch are constantly expanding the market with new innovative styles that add a final touch of luxury and relaxation to any project. Our in-house design team are on had to make sure that your bathroom project is designed and colour coordinated seamlessly, this includes ensuring bathroom tiles and wall paint colours and lighting design is also coordinated throughout your project. Within the new Villeroy & Boch range is the NATURAL BLEND range, these stone tiles show the diversity of natural stone and demonstrate it in a mixture of colours and structures. These tiles can be used to bring nature indoors to promote peace and tranquillity within your room. Use complimenting neutral colours to bring a soft finish to your room or use them as a contrasting background to more bold colours for a more modern twist. 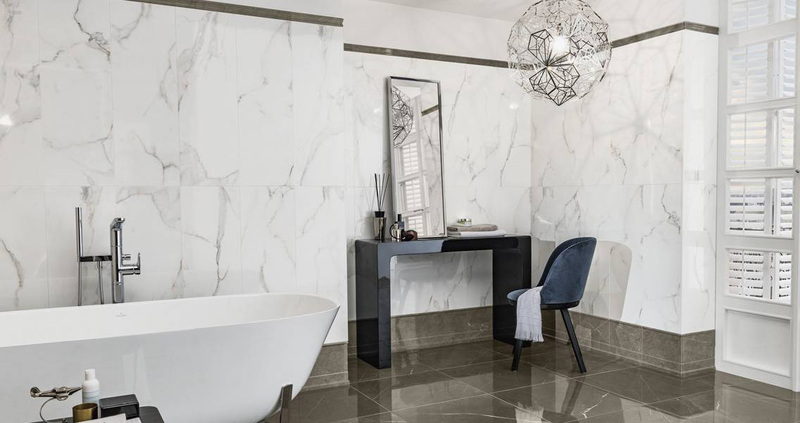 If you are looking for a bolder natural design, the MARMOCHIC tiles are classically modern as the structures and colours resemble precious marble. These tiles recall the prestige and luxury of old Venetian palazzos but with a modern forward-looking European style. 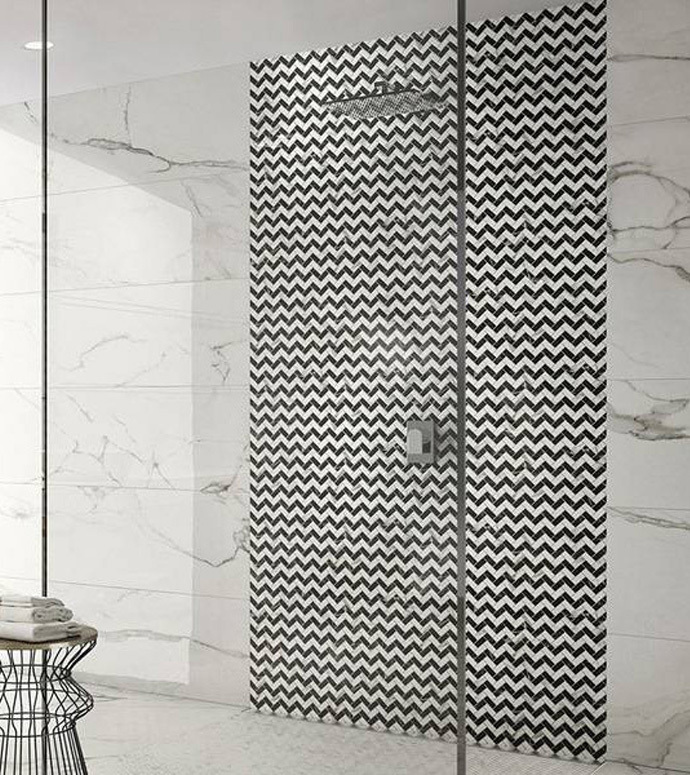 These tiles offer a more statement design while still bringing that element of nature and peace into your room to provide an effortless surrounding for relaxation. At Concept Virtual Design, we work with the most current styles and trends for luxury developments, refurbishment projects or private client new builds, to ensure that your project is completed to the highest finish possible by our team. Our in-house design team are available for consultations by appointment only and are often consulted at the start of an architectural design process or building process to ensure that the space created is optimised from the beginning allowing for the most luxurious space possible in your space. To find out more about how our in-house design team can help enhance your project, please contact us and arrange to visit our specialist bathroom and tiles studio. This entry was posted in Luxury Bathrooms, New Products and tagged Ascot bathroom design, Beaconsfield bathroom design, Henley bathroom design, High End Bathroom Tile Design, luxury bathroom tiles, luxury bathrooms, Maidenhead bathroom design, Marlow bathroom design, MARMOCHIC tiles, Natural Blend Tiles, Porcelain Tiles by Villeroy and Boch, Sunbury Bathroom Design, Villeroy & Boch, Villeroy & Boch Bathrooms, Villeroy & Boch Tiles, Windsor bathroom design. Bookmark the permalink.